CarGurus has 304 nationwide 5 Series Gran Turismo listings starting at $7,900. 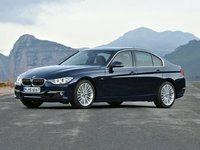 Unique and classy, as well as plush and potent, are only a sampling of the terms applicable to the niche-defying 2015 BMW 5 Series Gran Turismo. Variously described as a sporty and luxurious midsize hatchback, a utility-laden wagon or a practicality-minded crossover, this 5-passenger Gran Turismo (GT), nevertheless aptly epitomizes the German automaker’s legendary elite standards. Based on the 5 Series sedan, this BMW boasts 2 trims, the base 535i GT and the up-powered and up-featured 550i GT. Both return with standard rear-wheel drive (RWD) but can be promoted to snow-busting status with an available full-time all-wheel drive (AWD) configuration to earn Bimmer’s coveted xDrive sobriquet. The 535i returns packing the 3.0-liter turbocharged inline 6-cylinder (I6) engine, again managed by the standard 8-speed shiftable automatic transmission. 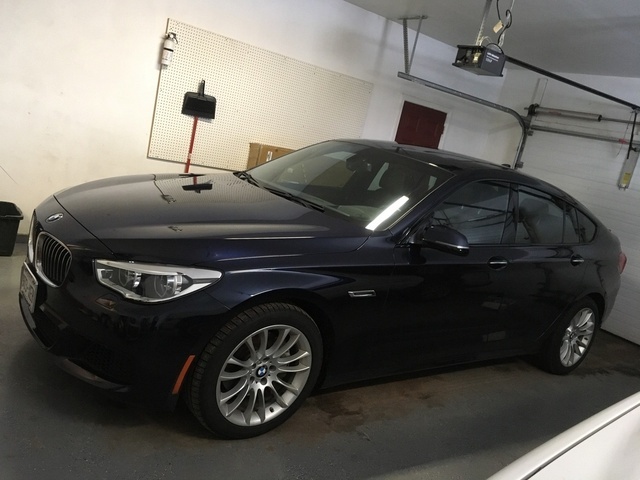 Look for 300 hp and 300 lb-ft of torque from this peppy forced-air I6, with RWD versions burning premium gasoline at an estimated rate of 20 mpg city/28 highway and xDrive variants estimated at 18/27. As mentioned, the 5 Series GT 550i’s standard 4.4-liter twin-turbocharged V8, again under the auspices of the 8-speed shiftable automatic, is toting some added power for 2015 and now throws down 445 hp and 480 lb-ft of torque — an upgrade of 45 hp and 30 lb-ft of torque from the previous model year. Mileage-wise, BMW says this over-the-top supercharged V8, again burning premium unleaded, should get 15/22 in either RWD or AWD garb. Appearance goodies adorning each trim include 18-inch alloy wheels, heated power-adjustable mirrors and a power sunroof. Meanwhile, one of the distinctive features aboard the plush 5 Series hatchback is the dual-access power-opening rear liftgate, which accesses up to 59.5 cubic feet of cargo area with the rear seatbacks folded. Said acreage can be filled using either the traditional liftgate for larger loads, or via a smaller trunk-like lid for groceries and such to fit the 15.4 cubic feet of load space to the rear seatbacks. Additionally, the rear seats can slide forward and rearward up to 4 inches, allowing even more toting capacity to those back-seat backs. Features-wise, leather upholstery and power-adjustable front seats return to gussy up the cabin in the 2015 edition of the 5 Series, with both complemented by leather, alloy and genuine wood accents. Full power accessories, cruise control and power-adjustable telescoping tilt-wheel steering also remain standard, as do memory for driver’s settings, an auto-dimming rear-view mirror and dual-zone climate control. Also, GPS navigation and a remote garage door opener, as well as front and rear parking sensors, once again come standard in both trims. Additionally, both 5 Series iterations sport BMW’s iDrive infotainment and voice directions that remains interfaced with Bluetooth hands-free technology, all integrated with BMW Online telematics featuring smartphone apps. And all this is bolstered by the standard 205-watt stereo system boasting 12 speakers, a single-CD player and HD radio. To all of the above, the up-powered 550i GT adds 20-position power front seats, expanded cabin heating and a rear-view camera. Options, meantime, include LED headlights, ventilated front seats, heated front and rear seats, a heated steering wheel, 4-wheel active steering, automated parallel parking assist, adaptive cruise control and an adaptive suspension system, all of it either in package or standalone form. Bimmer’s available safety-conscious Driver Assistance Plus package, furthermore, offers blind-spot and lane-departure warnings, top- and side-view cameras, and front collision alerts and mitigation. A 16-speaker premium audio system, featuring either Harman Kardon or more expensive Bang & Olufsen components, is also available to the 5 Series, along with satellite radio, rear-seat DVD entertainment and a night-vision system with pedestrian detection. Finally, standard safety equipment aboard both the 535i and 550i 5 Series trims is headlined by 4-wheel antilock brakes (ABS), traction and stability control, front and rear head airbags, front side-mounted airbags and front head-restraint whiplash protection. High-intensity-discharge (HID) headlights, BMW Assist emergency communications and alerts, a post-collision safety system and a remote antitheft alarm also return for 2015, with a heads-up windshield display again offered as a safety option. What's your take on the 2015 BMW 5 Series Gran Turismo? lowliu Suprisingly fun to drive with all the bells and whistles that not all look curt cars come with. Powerful twin turbo engine and a very smooth and quiet ride. Thank nfirtunately, there aren’t many used one ☝️ n the market. However, the style and design might not be to all people, those who likes it will love it to death, otherwise might not even blink an eye. Great comfy and solid luxury car BMW ever built. Have you driven a 2015 BMW 5 Series Gran Turismo?